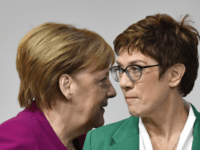 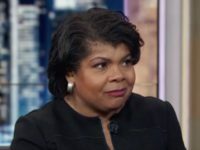 The woman largely expected to take over as chancellor of Germany has echoed calls by her mentor Angela Merkel and French ally Emmanuel Macron for a “European army” to avoid becoming a “plaything” of Russia, China, and the United States on the global stage. 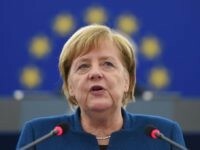 German Chancellor Angela Merkel has said that the European Union must deepen its defence cooperation, including developing shared weapons systems. 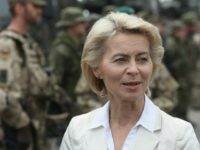 Austria’s defence minister has said his nation will not be involved in the developing pan-European army, a pet project of leading globalists like Germany’s Angela Merkel and France’s Emmanuel Macron, saying the continent should concentrate on cooperation, not integration. 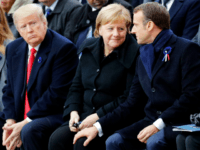 Germany has told France to give its permanent seat at the UN Security Council to the European Union so that the bloc can “speak with one voice” as it advances its defence plans. 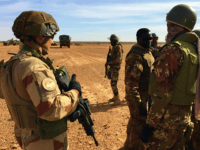 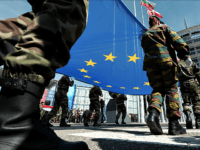 The European Union has agreed to a series of armament and military projects including a spy school and medium-range missile development as part of its proto-EU army force PESCO. 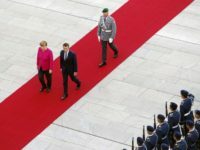 Senior Brussels figures have expressed their ‘delight’ after French Prime Minister Emmanuel Macron and German Chancellor Angela Merkel backed forming an EU army. 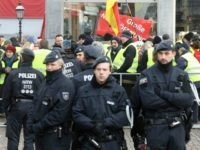 Angela Merkel has called for the creation of a “real, true EU army”, days after stating that only through globalism and ‘United Nations values’ can there be peace in the world. 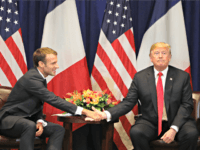 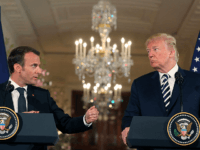 President Donald Trump clapped back at French President Emmanuel Macron over Macron’s call for an EU Army to protect against countries including the United States this week. 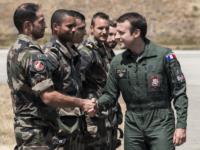 French President Emmanuel Macron has launched a European defence coalition of ten countries — including the UK, months before she is due to leave the European Union. 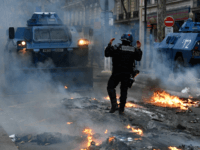 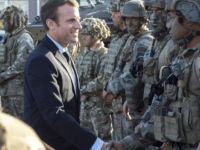 Macron Calls for ‘Real European Army’ to Protect EU from U.S.
French President Emmanuel Macron has reiterated calls for a European Union army, this time saying that it is needed to protect the bloc from China, Russia, and even the United States. 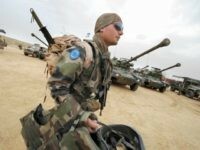 France’s Macron Urges EU to Build Up Defence Force, Split from U.S.
PARIS (AP) — French President Emmanuel Macron pushed Monday for Europe to take more responsibility for its own defense, saying the continent’s security shouldn’t rely so much on the United States and could even include discussions with Russia. 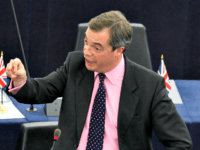 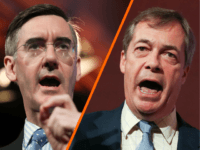 Brexit leader Nigel Farage has slammed the European Commission president for building an army to rival NATO and the U.S. military, claiming the bloc is “hell-bent to be in direct collision with Donald Trump”. 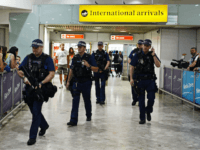 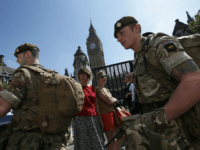 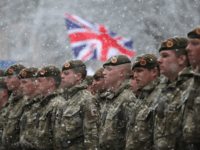 The UK is set to join nine European Union (EU) states in signing up for a new, joint European rapid response military intervention force. 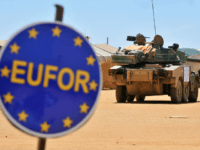 The European Union (EU) has proposed that billions more in aid be pumped into Africa including a €10.5 billion “Peace Facility” which could be used to purchase weapons for use in crisis areas. 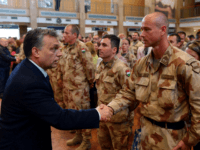 Prime Minister Viktor Orbán has said that it is Hungary’s duty to defend itself and that any nation “unable to protect its country is not worthy of it”. 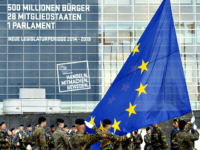 The European Commission has announced a €13 billion “Defence Fund” paving the way for closer EU military integration – plans once called a “dangerous fantasy” by Remainer Nick Clegg. 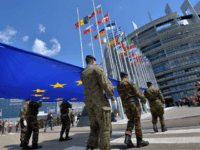 Brussels must be careful not to weaken or undermine the North Atlantic Treaty Organization (NATO) as it builds a supranational European Union (EU) Army, American military leaders have told their EU allies. 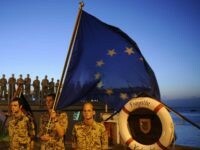 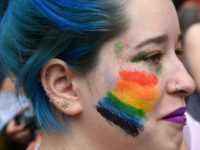 The European Commission president has praised the “sleeping beauty” of the Lisbon treaty for helping bring about the creation of a “European Defense Force,” or European Union (EU) Army. 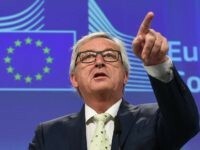 The European Union’s (EU) chief Brexit negotiator has been accused of an “outrageous slur” and “insult[ing]” British forces after clearly implying the UK has abandoned the fight against Islamic State terror in Europe by voting for Brexit. 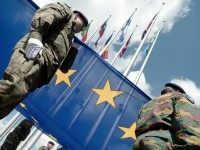 The European Union’s (EU) foreign minister has said the bloc is working at “full speed” to create a unified “defence force” on a “continental scale”. 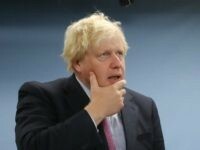 The Foreign Secretary has said Britain is “supportive” of a European Union (EU) deal laying the foundations of an EU army, despite historically opposing it as a challenge to NATO.